Joie Patisserie: Pantry Basics: Whats the Deal with Eggs? Pantry Basics: Whats the Deal with Eggs? I'm late posting this week's pantry basics post! Better late than never I guess! Today we're going to talk about eggs! First we'll talk a little bit about the impact of eggs on your health, how to purchase eggs and finally how to cook them. For those of you who are allergic to them or sensitive to them, I've also got a little bit of info on egg substitutions. 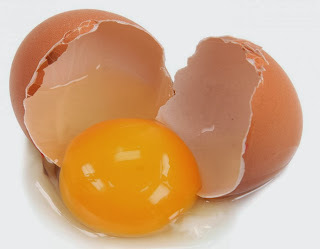 Eggs have a bad rap due to the amount of cholesterol contained in them. According to an article in the Globe and Mail, eggs have approximately 183 mg of cholesterol. The recommended daily intake of cholesterol for a healthy person is 300mg and the recommended daily intake for someone with heart disease or other issues is only 200mg. In a number of studies conducted, when healthy people ate one egg per day, there was no clear link to cardiovascular disease. But those one a day people's risk of developing Type 2 diabetes did increase and people with Type 2 diabetes have a 69% higher risk of developing cardiovascular disease. Its a vicious cycle isn't is? Seems like you just can't win when it comes to your health these days. Purchasing eggs is a pretty big bone of contention these days. There is information everywhere about how bad the chickens are treated and how awful the food they consume is. I won't go into details here because it is very graphic and disturbing, but if this is something you would like to learn more about, you can hop over to www.certifiedhumane.com to learn more. With this in mind, I will tell you a little more about the labelling on egg cartons and how to know which are best for you from a health perspective and also from a humane perspective to the chickens. These two items are often linked very closely to one another - healthfully cared for chickens = healthier and better for us eggs. Seems like a no-brainer doesn't it? Information discussed below is from my cookbook Feeding the Whole Family by Cynthia Lair. 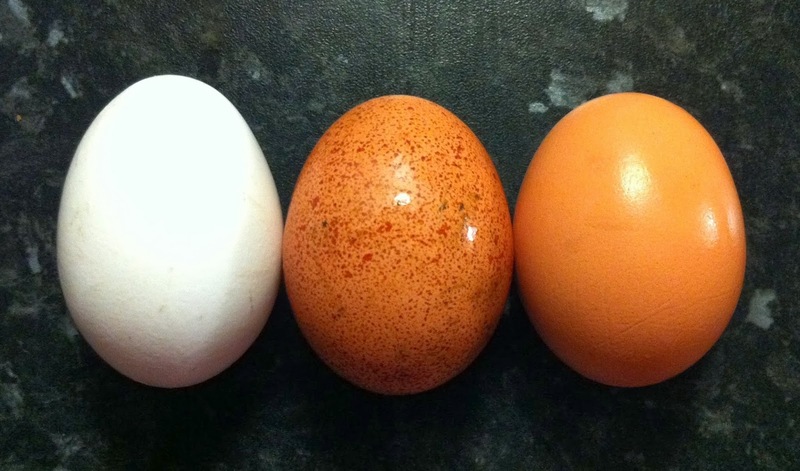 Conventional eggs are the typical supermarket eggs with no special labelling. These eggs are produced in large factories where two chickens are stuffed into a wire cage of approximately 2 feet square. These chickens don't get outside and their feed is allowed to contain antibiotics, meat, meat biproducts and bioengineered corn. This method of production is banned in some areas of Europe, but still fair game in North America. Given the condition the chickens are stored in and the feed they eat, you can imagine that their eggs are the least nutritious and contain many toxins. Cage Free, Free Run, Free Roaming and Free Range sounds nicer doesn't it? But this can be deceiving. These labelling terms mean there aren't any cages in the chicken barn or that they have access to the outdoors. These terms don't mean the chickens actually go outside, nor does it mean that their diet is any different than conventionally raised chickens. Sometimes you'll see Omega-3 on the label. This means that the chickens feed is supplemented with 10-20 % flax seed which increases the nutrient content of each egg. This doesn't mean that the eggs are free from the above hormones and toxins because the rest of their food and conditions aren't any different than the two categories discussed above. Organic eggs are a little different from the above noted egg types. To be labelled organic, the farmer must guarantee that flocks have access to an organic outside area year round and are fed at least 80% organic non-GMO feed. No meat, meat by-products, antibiotics or hormones are allowed in the feed and each bird must have a minimum of 2 square feed of floor space. They aren't caged - this just means that if you have a 40 square food barn, you can't have more than 20 chickens. These eggs are expensive - in most grocery stores they are approximately $7 per dozen compared to $3 for conventional eggs. But the price tag is worth it! It is an investment in your health and you can avoid being exposed to hormones and toxins that can be harmful to your body. I recommend buying organic eggs unless the next category is readily available to you. Pastured eggs means that chickens are kept in a moveable enclosure with nests that are moved once or twice daily to a new piece of grass. This results in the chickens obtaining at least 20% of their diet from foraging and eating insects (which is their natural diet). 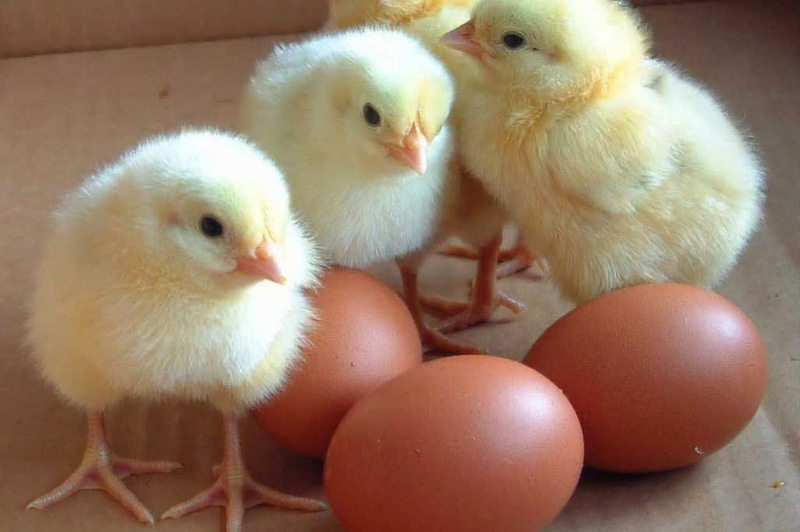 This method of production provides the highest quality eggs you can buy! You can find them at local farmers' markets (ask the vendor) or by making friends with your neighbor who has chickens! Bring eggs to room temperature. Put eggs in a pot and cover with cold water. Turn heat on high until it is just about to boil, then turn down to a simmer (just barely bubbling). Start your timer now! For soft cooked eggs - 2-3 minutes, medium cooked eggs - 4 minutes and for hard-cooked eggs, simmer 10-15 minutes. Whisk eggs with salt, pepper and 1-2 tbso of cream or milk. Melt a pat of butter in a non-stick pan over medium heat. Add eggs and stir, scraping up cooked bits from the bottom of the pan. Stop stirring whil eggs are still a bit runny on top. Cover pan, remove from heat and leg eggs cook in pan for five minutes. You can toss in some minced chives and grated cheese at this time and let it melt into a delicious, flavourful dish at this time! Place a pat of butter in a non-stick skillet over medium-low heat. Cook until whites of eggs are firm, but yolks remain soft (tip: shake the pan to see how soft egg is in the center).As they finish cooking, put lid on for one minute. Bring eggs t room temperature. Heat two inches of water in a large non-stick skillet and add 1 tbsp. vinegar or lemon juice and 1/2 tsp salt. Bring to rolling boil. Tip eggs into boiling water and immediately cover the pan and turn off the heat. Poach for 3 minutes for soft yolks, 4 for firmer yolks. Lift eggs out with slotted spoon, drain well and serve. (These eggs make delicious eggs benedict if you're up for a treat). Some of you may have egg allergies or sensitivities. If a recipe calls for two eggs, you can substitute the following (though keep in mind - eggs bind ingredients together so the texture will change if you make these substitutions. Increase liquid and fat in recipe by 1/4 cup each (so if you have milk and butter in your recipe, add an extra 1/4 cup of each to the recipe). Substitute 1/2 cup of your favorite fruit or vegetable puree (dates, bananas, applesauce, sweet potatoes are good ones). Grind 2 tbsp. flaxseed, add 6 tbsp. boiling water then let mixture set for 15 minutes. Whisk with a fork. I hope you found this post informative and useful! If you have any questions or if you have anything to add, feel free to use the comments section of this post!! Thanks for stopping by!